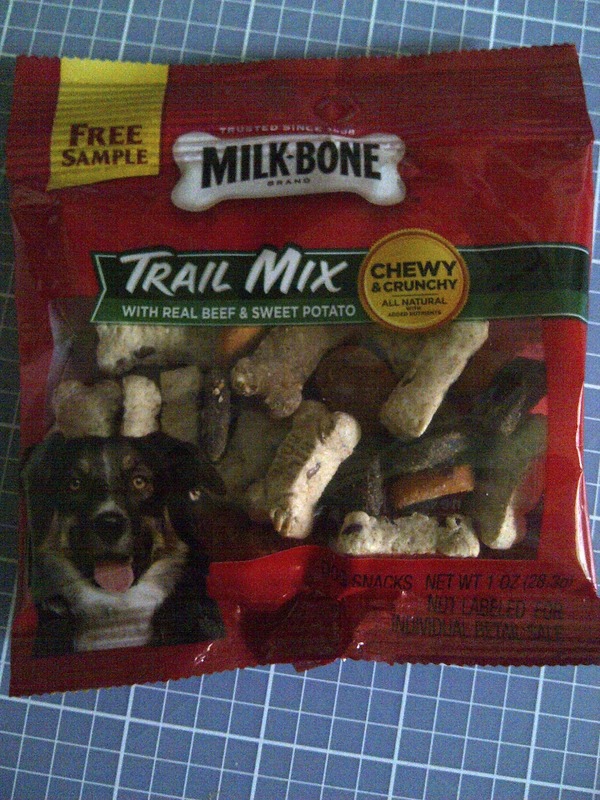 I received a sample pack of these dog treats for free! I thought these were too cute and I knew I had to find something to do with them; I already had the frame and picture on my To Do project pile. 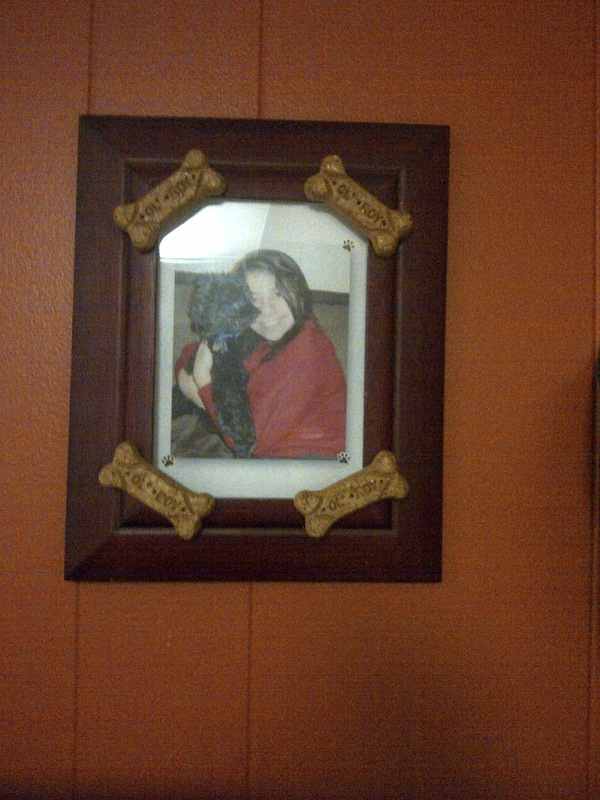 here it is pictured on her wall. dry. 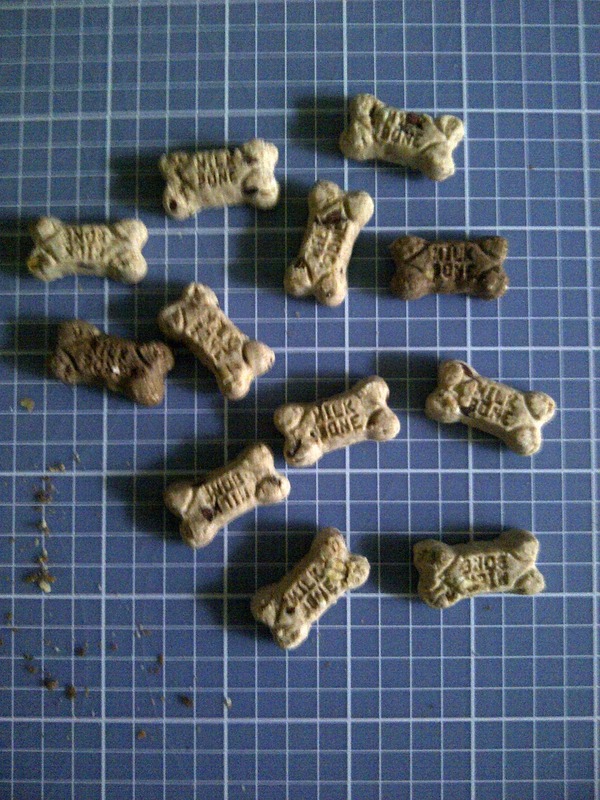 Second, I glued them in place with the Gorilla Glue. 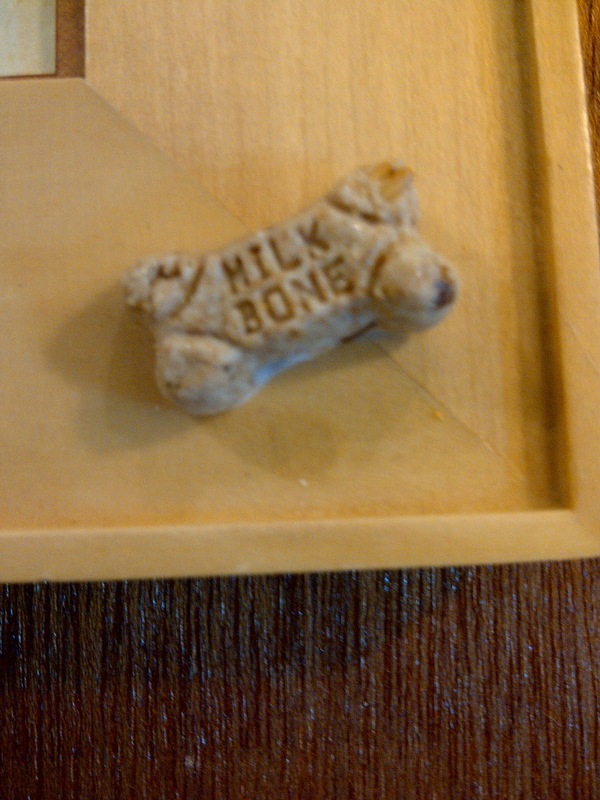 Adorable trail mix sized Milk Bones. Tada! Look Ma, I’m crafty! OK, so here is the finished project. I keep it out of Banjo’s reach. 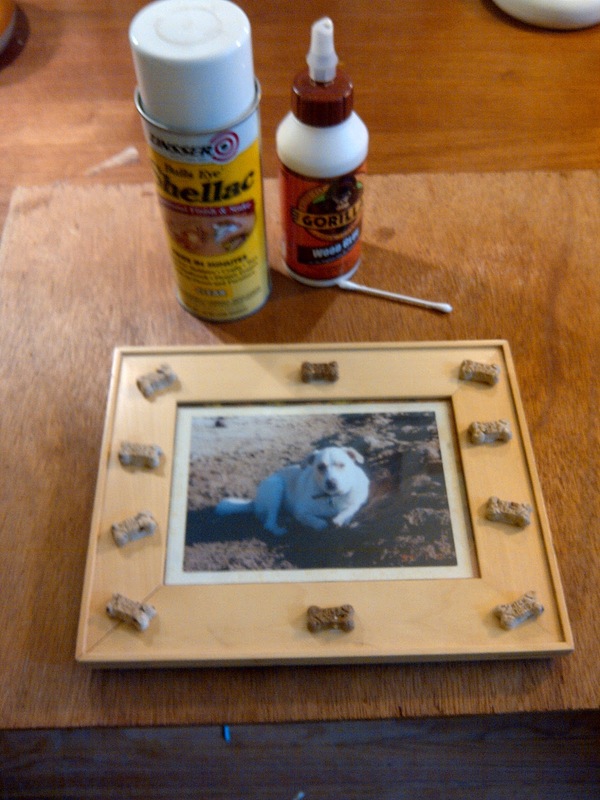 to eat the frame…shellac and all! So, as you can see this was super simple! You could paint, or use more/different decorations. 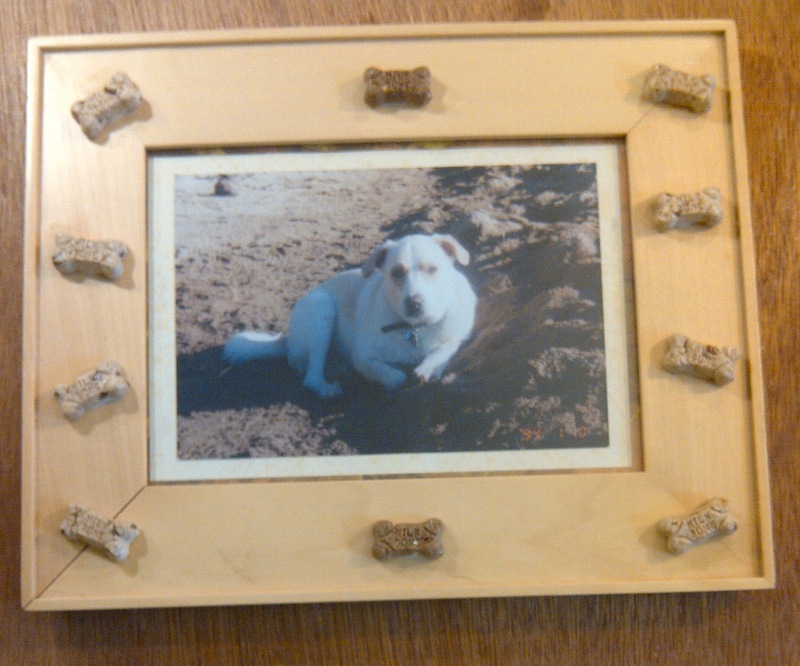 a pet frame in a unique and really special way, so I want to invite you to go ahead and make one for your beloved pets and I am adding a link below. If you decide to make one, post a picture on your blog, and link up so we all can see. Make it simple or go wild! Come on, please, try- will you? with my simple frame creation!